Everybody knows that Labor Day is a holiday best spent at the Jersey Shore. 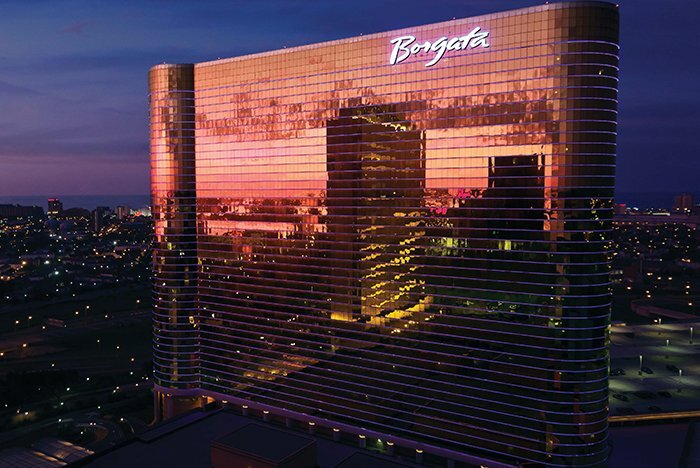 If a waterfront destination featuring the very best in food, entertainment, nightlife and gaming sounds like the perfect way to say goodbye to summer, consider spending your weekend at Borgata Hotel, Casino & Spa in Atlantic City. The resort has an action-packed schedule planned that includes something for everyone. On Friday, hit the slots for your chance to win $15,000 Bonus SLOT DOLLARS® every 15 minutes between 2-7 p.m. You’ll also have the opportunity to place your bets on the upcoming pro football season all weekend long at Borgata Race & Sports Book, located adjacent to the Poker Room. Head to the Gyspy Bar on Saturday at 4 p.m. for the Savor Borgata Culinary Series, featuring the Ketel One Summer Cookout. Sip on Ketel One cocktails while Chef Brian Perry prepares a twist on some classic summer favorites. Space is limited so be sure to make a reservation now. When: Thursday, Aug. 30 at 9 p.m. When: Saturday, Sept. 1 at 8 p.m. When: Saturday, Sept. 1 at 9 p.m. When: Sunday, Sept. 2 at 8 p.m.
Thursday, Aug. 30 at 10 p.m.
Friday, Aug. 31 at 11 p.m.
Saturday, Sept. 1 at 10 p.m.
Sunday, Sept. 2 at 10 p.m.
Monday. Sept. 3 at 11 p.m.
There’s nowhere else better to be this Labor Day Weekend. Book your room at Borgata now.